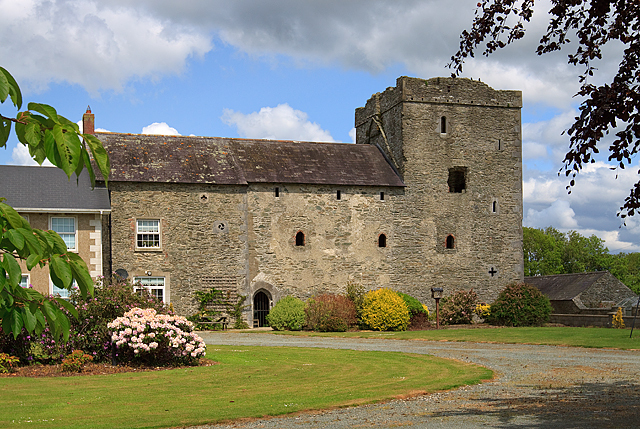 This C16 four storey tower is south of Dunleer, just to the east of the M1 motorway and stands complete to the parapet. There are various loop insertions, including angle and cross loops, and there is also a ventilator at the upper level at the opposite end to the tower. At least one of the two fine fireplaces have been removed to the adjacent house. This page has been viewed about 470 times.